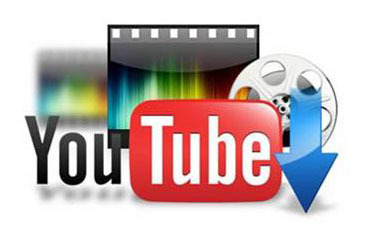 Need YouTube to 3GP download/conversion for transfer between mobile devices? 5KPlayer is one of the most convenient, fast, free and stable tool to let you download 3GP from YouTube directly without extra steps of YouTube to 3GP conversion. You need the most efficient 2-in-1 YouTube 3GP video downloader - 5KPlayer to download YouTube to 3GP directly and convert 3GP to other fomats freely. This multi-thread YouTube video downloader can make your download experience more smoothly and effectively. The development of 3GP video container format was intended to save space, bandwidth, and data usage, which is why they're often used on mobile devices. 3GP is the required, standard format for media files sent using MMS and MBMS. Why Choose 5KPlayer Freeware to Get YouTube to 3GP? Download YouTube to 3GP Directly: You can choose between 180P or 144P 3GP videos to download from YouTube and even add subtitles if the sub file is provided along with the video. Download YouTube Playlist to 3GP Directly: Paste and Anaylze a YouTube playlist URL in this 3GP downloader and all the songs will be shown in the download waiting list. Super Fast Download Speed: This stand alone software with multi-thread video download feature, boosts download speed by 4X faster and is remarkably stable on Windows/Mac. 3GP to MP3 audio Conversion Feature: 5KPlayer can download YouTube to M4A audio directly, if you wish to get MP3 format from the 3GP vid, you can convert 3GP to MP3 here. 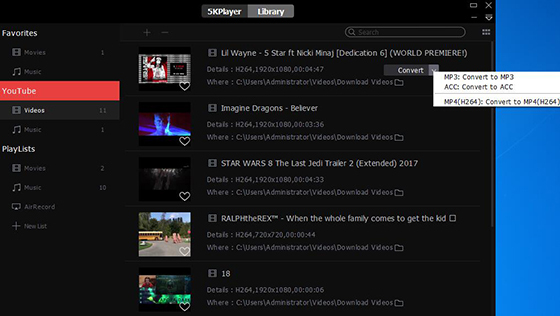 5KPlayer is not only good at YouTube to 3GP download, it also provides download access to over 300 online video sharing sites including VEVO, Dailymotion, Facebook, Twitter, Twitchtv, and MetaCafe. You can get 3GP, WebM, MP4, M4A formats from those online site. Download it now! How to Free Download YouTube Videos to 3GP with 5KPlayer? Step 1: After following 5KPlayer setup widget and launched 5KPlayer on your PC/Mac, click on the red YouTube button to the YouTube download interface. Step 2: Copy the URL of a YouTube video playlist and paste it to the URL box. Then this YouTube to 3GP downloader will auto-detect all the songs contained in the link and show them all with download buttons. Step 3: Click on "Gear Wheel" button beside thumbnail and click on "Show-all" to select 3GP format you want to download. Note: you can also select corresponding subtitles (if it has) by clicking the "Subtitle" button. Note: To convert 3GP to MP3, you should download the video version first and then find the file under 5KPlayer "Videos" playlist. Hover your cursor to see the "Convert" button for YouTube to MP3 and AAC conversion. Only YouTube to 3GP download conversion? 5KPlayer can surely do more. This free 3GP player can download YouTube to MP3, YouTube to M4A, YouTube to WebM. And if you are not a YouTube regular user but a frequent visitor of Facebook, Vimeo, Dailymotion, Vevo, Twitch, or other online video sharing sites, 5KPlayer guarantees to help you download/convert videos to 3GP for mobile from these online video sites. This YouTube downloader elevates itself from the rest of the competitors thanks to its combined feature of downloading online video audios and converting them to iPhone/iPod mobile devices compatible formats. You won't regret trying it out now!